We dont just après-ski, we après-anything all year round in Whistler. This is the time to celebrate your day in the mountains, a time to refuel, refresh, and most importantly reconnect with your fellow humans. So put your skis aside, park the bike, hang up your clubs and toast your weary hiking feet with a cold beverage. Welcome to après. 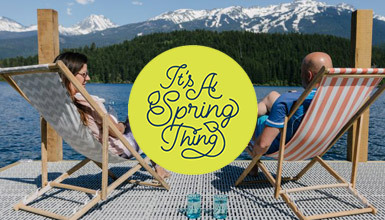 Here's a selection of spots ordered by style, but it’s not the complete list by any means - view all the venues here or simply take a walk through Whistler Village and pick your patio. Less walking, more dancing - use our interactive map to find the closest après venue. 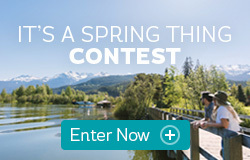 Book your stay for 2+ nights with an arrival date between March 1 – April 30, 2019, enter the promo code SPRING2019 at checkout and receive a free $20 après voucher to be redeemed at a selection of Whistler’s best bars and restaurants. Hurry – this offer is valid for a limited time and only at Whistler.com. Book your stay online, enter the promo code SPRING2019 at checkout and your voucher will be added to your cart. Alternatively, call 1.800.944.7853 and mention the promo code when booking. Your $20 CAD Après Voucher will be delivered to your accommodation prior to your arrival. Hurry, offer is limited and only available while quantities last! What is the BC Ale Trail? Explore British Columbia’s raw wilderness and bounty of craft beer with the BC Ale Trail — the definitive online guide to BC’s dynamic craft beer community. Explore stouts and snow-capped peaks, brown ales and beaches, or bikes and hikes, all leading to some of BC’s best breweries and the super, natural landscapes that surround them. A co-production of the BC Craft Brewers Guild and Destination BC with support from seven of BC’s Destination Marketing Organizations (DMOs), the self-guided tours will highlight local brewery destinations, nearby attractions and suggested sightseeing in each of the seven participating communities — Comox Valley, Kootenay Rockies, Nanaimo, Port Moody, Sunshine Coast, Victoria and Whistler. More destinations will be introduced in 2017. Within each Ale Trail you will find recommended itineraries to explore your selected destination—this includes an array of craft breweries, pubs, restaurants, cafes, outdoor activities, sightseeing, accommodations and more. Follow our suggested route or use the Ale Trail information to build your own trip. The itineraries are simply recommendations, so we encourage you to veer off course and #ExploreBC! If you want to plan your own trip, use our database to find the most comprehensive list of craft breweries in British Columbia. A three part series introducing the brains behind the brews at Whistler’s three local breweries - Coast Mountain Brewing, The BrewHouse and Whistler Brewing Co. 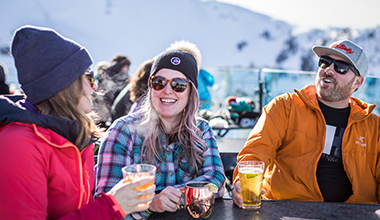 In Whistler, we après everything year-round, and the fun doesn't stop when the sun sets.